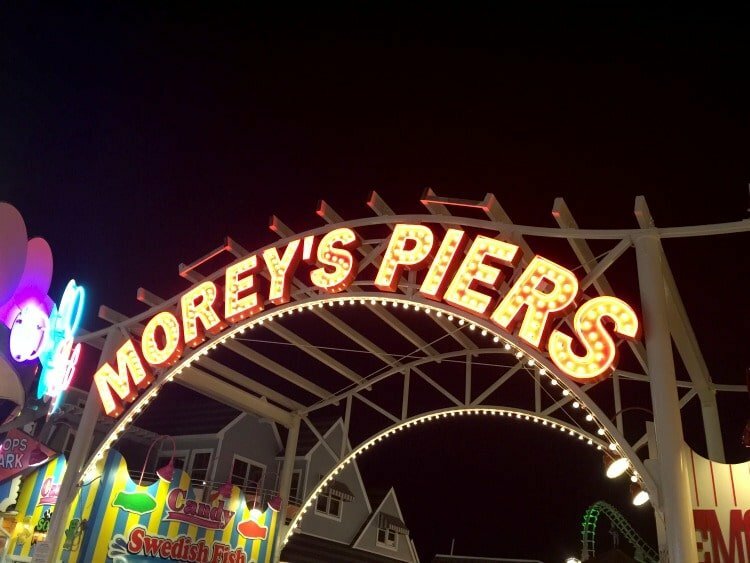 This Morey’s Piers Weekend getaway with my son was a ridiculously fun way to spend Father’s Day weekend in style! 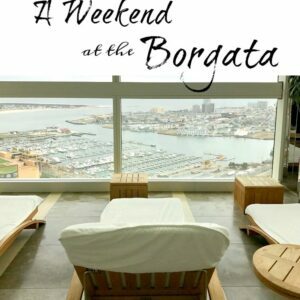 I was luck enough to get an invite to head down to Wildwood for the weekend and stay at the Port Royal Hotel at Morey’s Piers. My wife was the first choice but then it’s the problem of what to do with the kids. We usually have good options but this weekend we didn’t, so it was looking like I might end up heading down by myself. 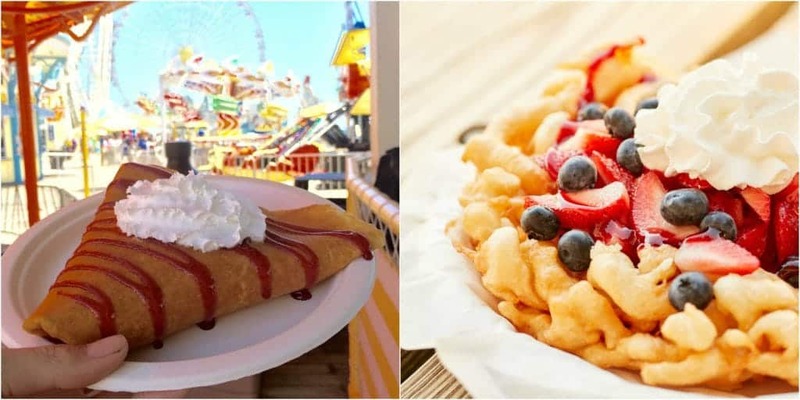 Then I had the great idea that I should take my oldest son with me – he’s a total food-loving kid, loves being at the shore and is a ride junkie (like myself) and it was over Father’s Day weekend so the choice was pretty clear to me. Then came the bad part, breaking the news to my little guy. He’s only 8 so more of a the age where you have to supervise him instead of hanging out with him, and he’s still at the age where my wife trumps all for him, so he was perfectly happy spending the weekend alone with her. My son and I headed down that Friday, it’s about a 3 1/2 hour – 4 hour drive for me, depending on traffic but all in all not too bad for a weekend getaway. we got to the hotel around check in time and went up to get settled in our room. The rooms at the Port Royal Hotel were really nice. Definitely room enough for the two of us, even 4 would be comfortable. 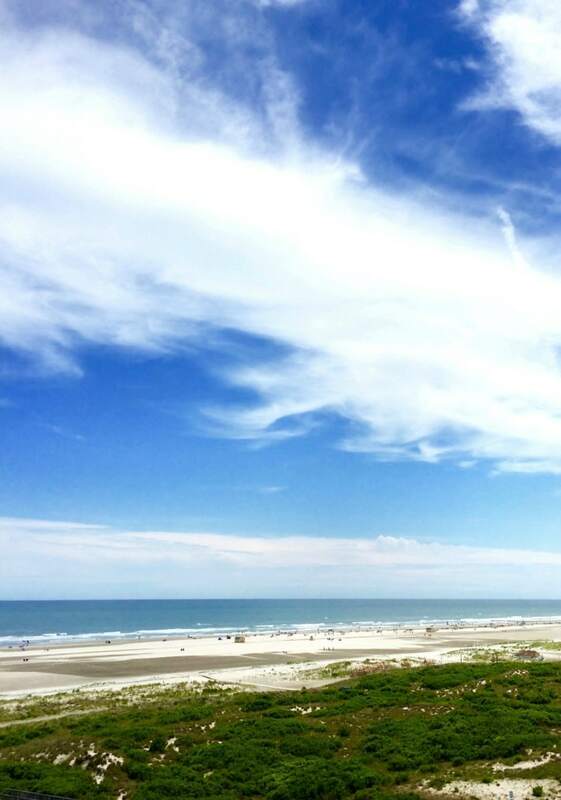 We even had a beautiful view of the ocean, which always makes things seem even nicer. The beaches are huge and as you can see the sky seems to go on forever. 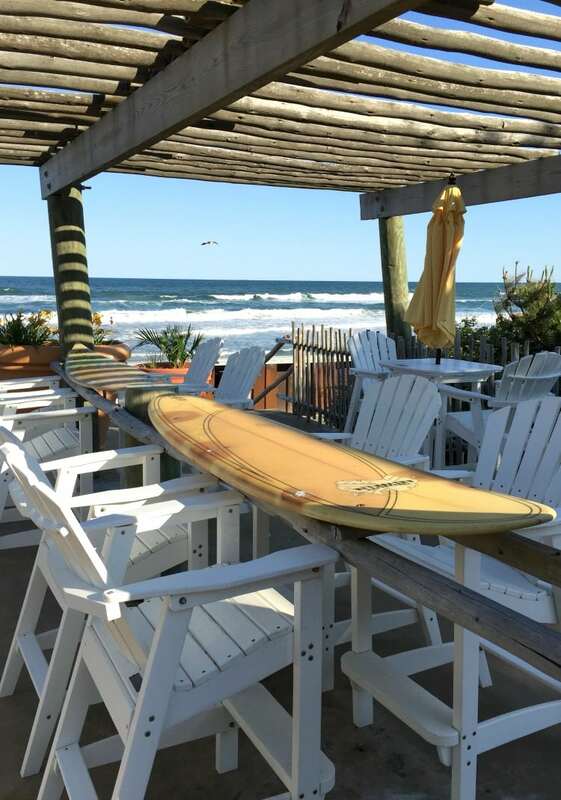 This is the Jersey shore that I”m talking about. 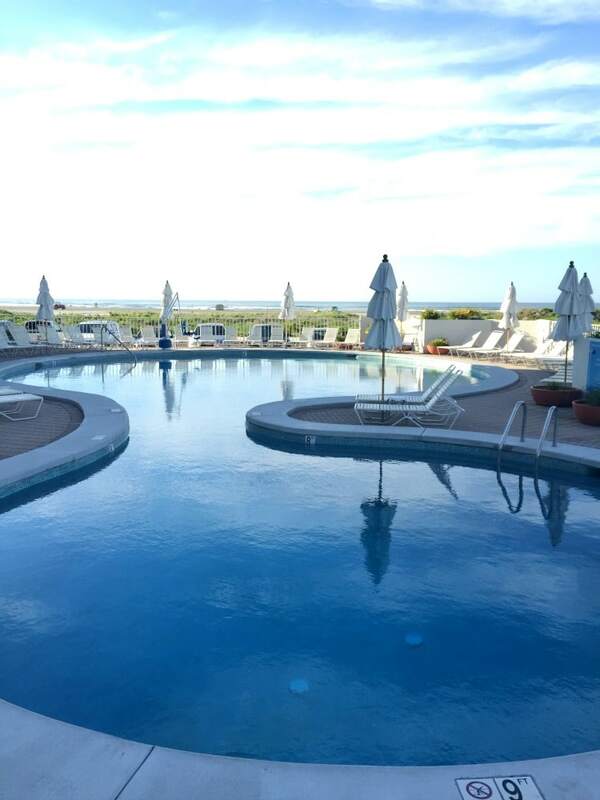 And when you’re done at the beach you can head back and take a dip in this beautiful pool for a while, then head back to your room and shower up to get ready to hit the boardwalk. Around 8 we headed over to Joe’s Fish Co. for a cocktail hour and to meet some of the other bloggers that were there for the weekend. The cocktails were all delicious (yes I sampled most of them) and the appetizers were fantastic. 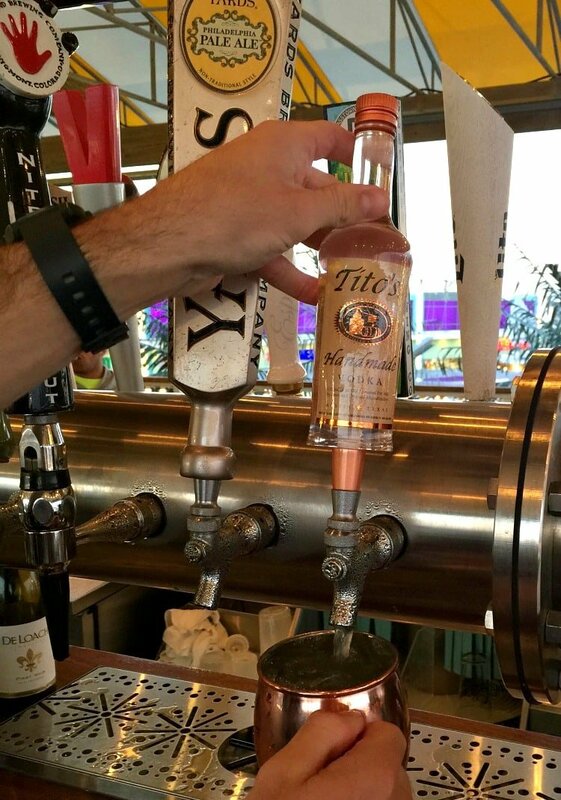 The bar even had its own Tito’s tap for Moscow Mules…you see that and you know you’ve found a good spot. They were as good as they look in the picture, perfectly mixed, chilled and refreshing. Tyler grabbed his own cocktail, kiddie style, but everyone’s got to get in the fun, right? We sampled tons of food that night, one of my favorites was the fish and chips but really everything was good. After stuffing ourselves we headed to some rides, walked around the boardwalk and yes, we did taste a few more snacks that night before turning in. 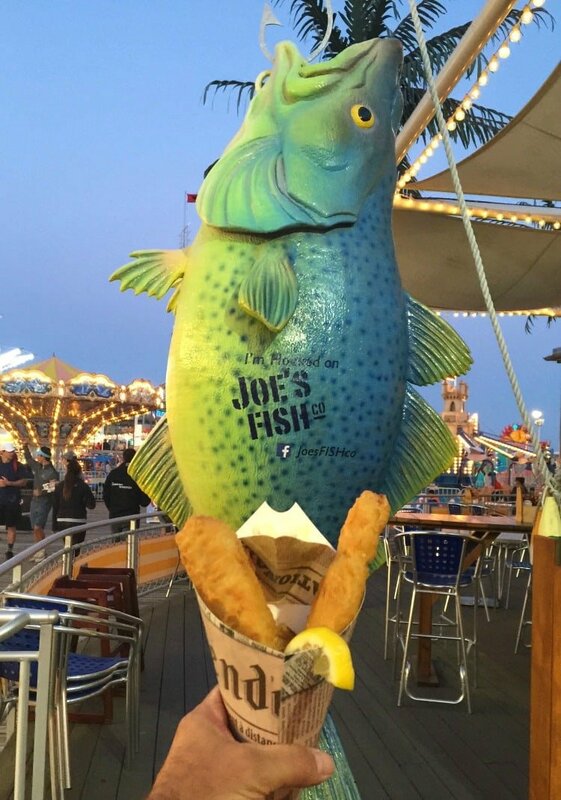 You can find deep fried anything on the boardwalk. 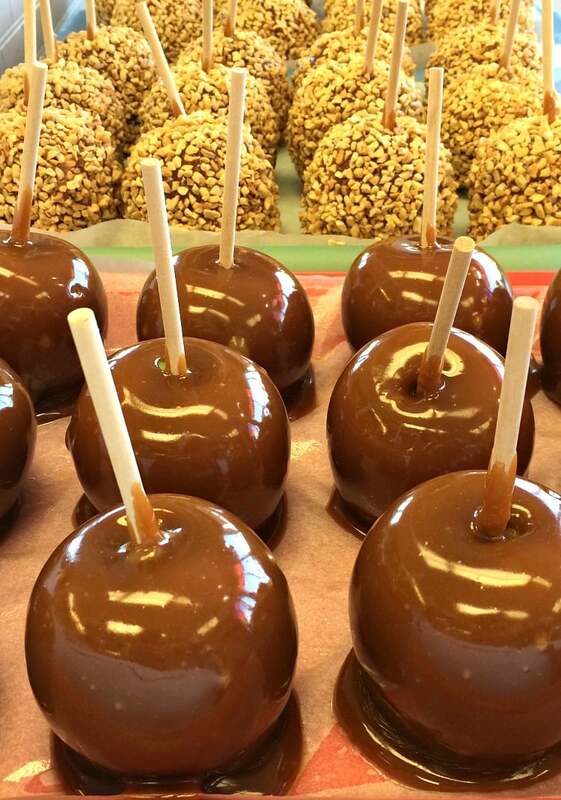 Or if you’re looking for something a little more healthy you can head to the Fudge Factory and get some caramel apples…nuts or no nuts. A few more rides and some fun boardwalk games for Ty and we headed back to the room for the night. You’ve gotta love the money machine. Tyler definitely did! 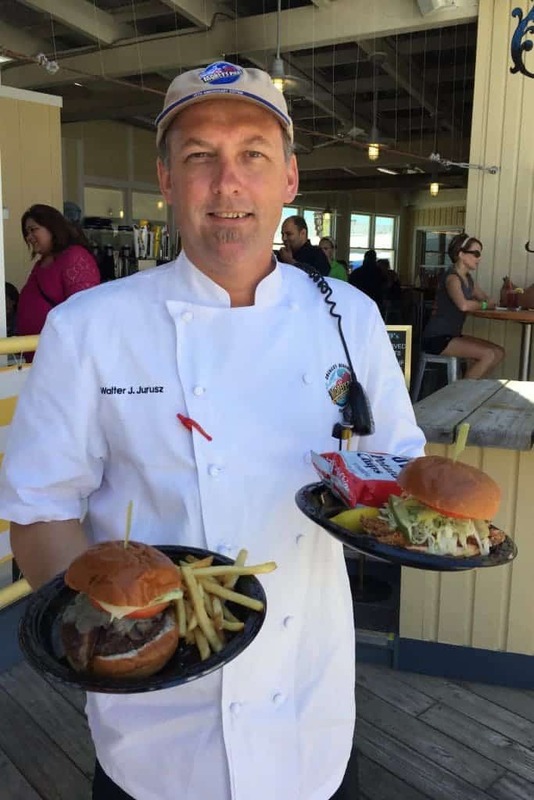 The next morning we grabbed breakfast at the hotel and then worked our way over to Mariner’s Pier to participate in a walking food tour led by Wally Jurusz, the executive chef of Morey’s Piers where we would sample food from LaBakerie, Taco Joint, Curley’s Fries and Jumbo’s. Tyler was beyond excited. There’s not much that can fill him up at 12, but I was thinking this weekend might actually do it. The fries were what everyone was talking about. 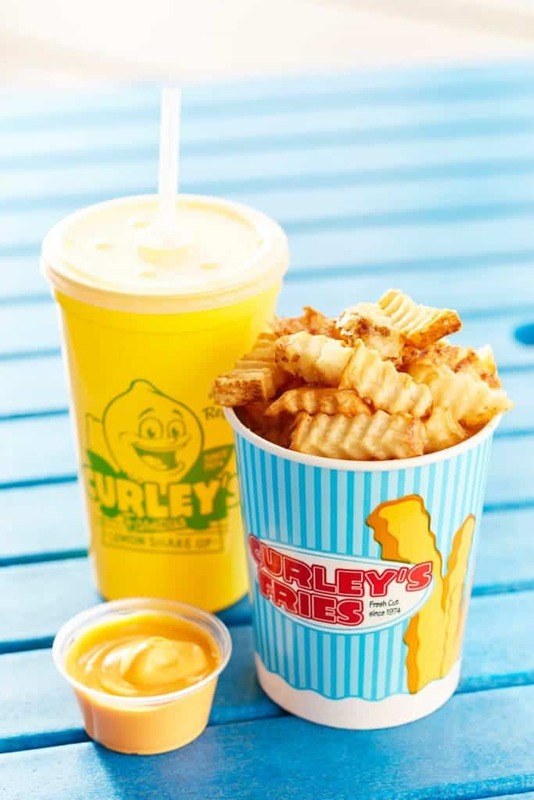 Perfect boardwalk food, you wouldn’t believe how many potatoes Curley’s Fries goes through to keep everyone happy and full of cheese fries. The Taco Joint was another big hit. Ty and I could eat guacamole all day, he couldn’t even wait for me to take a picture before he started grabbing a plate. Next stop was LaBakerie. There’s always room for dessert right? These strawberry crepes were unbelievable. 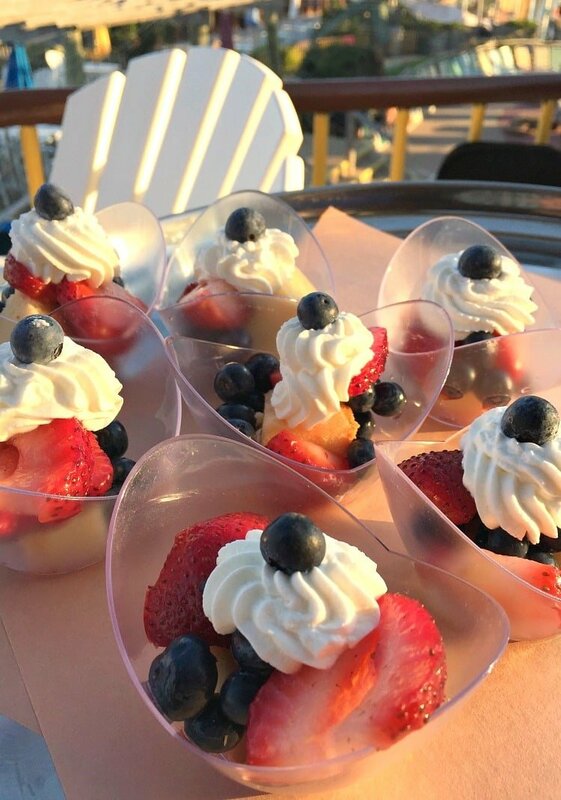 There’s no more canned fruit used in any of the restaurants at Morey’s Piers. All fresh fruit, all fresh produce. 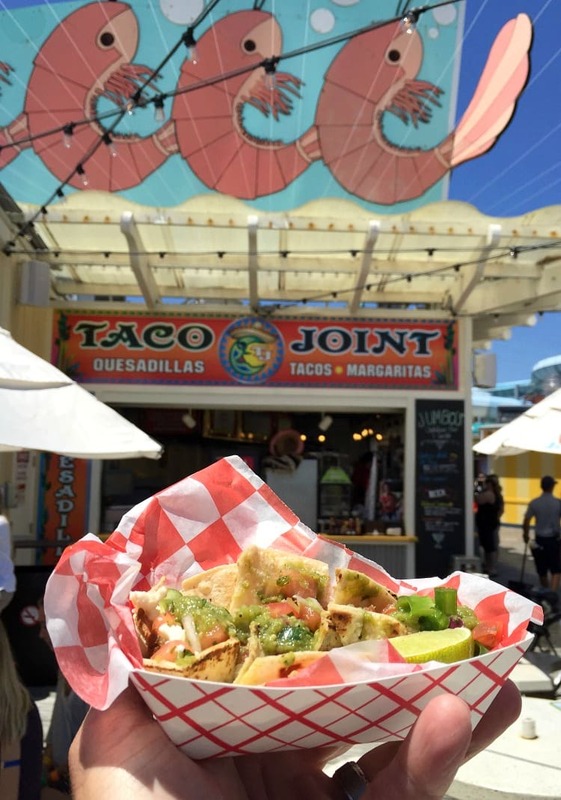 We’re talking boardwalk food done right. So I’ll tell you, after the walking tour we had to walk some more…back to the room to rest. All the food makes for a tired dad…but not my boy…he was itching to go on the rides. So a quick rest it was and then off to the boardwalk again for some fun. 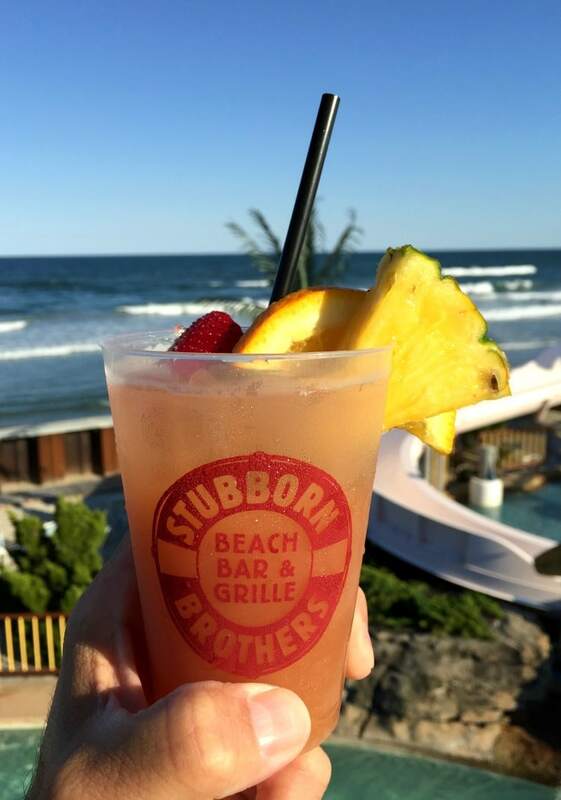 That night was my favorite of the weekend, we went to Stubborn Brothers Beach Bar and Grille for a cocktail reception and to sample new menu items from the restaurant. 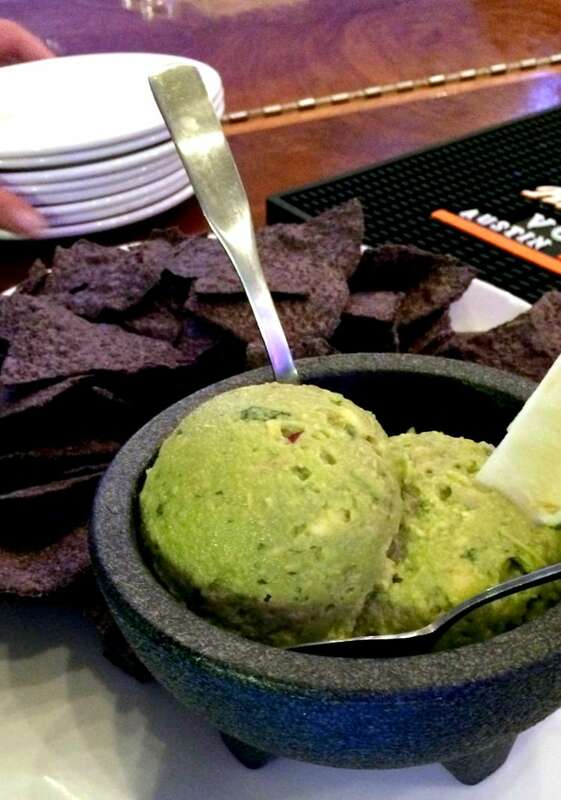 What a great place, not only was the food awesome but the atmosphere was ever better. 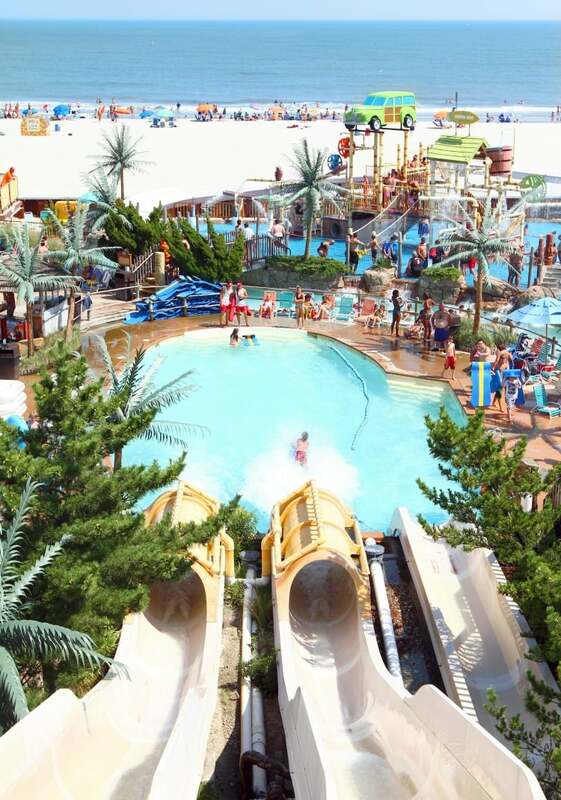 Everything is open, right on the beach and right next to the Morey’s Piers waterpark where you can watch people floating on down the lazy river. I mean take a look at this place. It just screams sit down and have some food and a few drinks, summer style. I’ve got to tell you, this is my kind of place. They even broke out a one man band for us to really get us in the mood for hanging out – this is a perfect night for me – on the beach with a drink in my hand, eating great food and hanging with my boy. 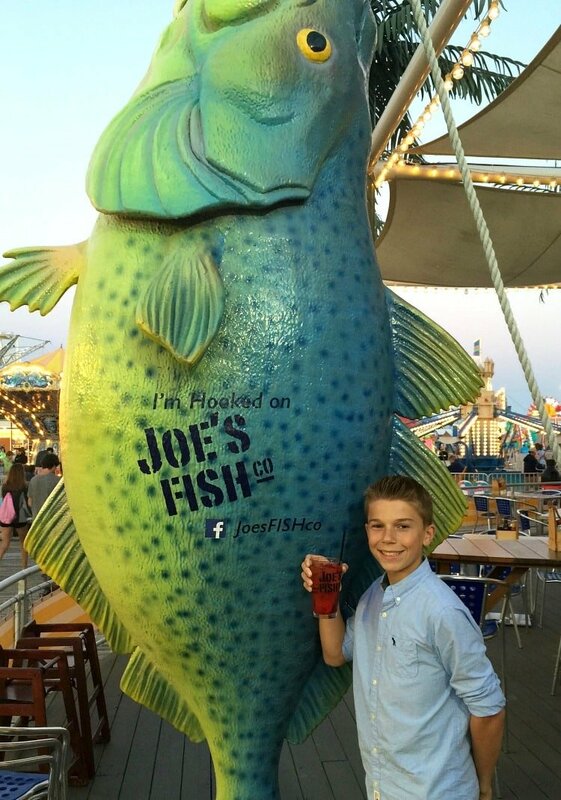 He was having so much fun tasting all the food and checking out the sights, it’s a great place for adults and kids. Not too many places can say that, but this one can. That drink there is the Pirate Punch. They don’t skimp on the fresh fruit in the cocktails either. These crab cake appetizers we so good, I think Tyler and I ate our share and then some. When they started to pass out these filet tip sandwiches, I knew this would be my favorite dinner. 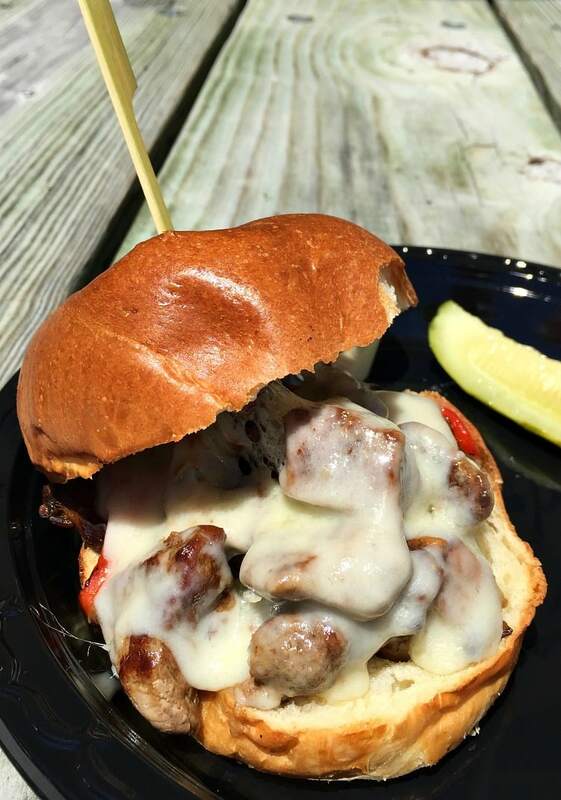 Filet tips, chanterelle mushrooms, roasted peppers, truffle mayo and swiss cheese. 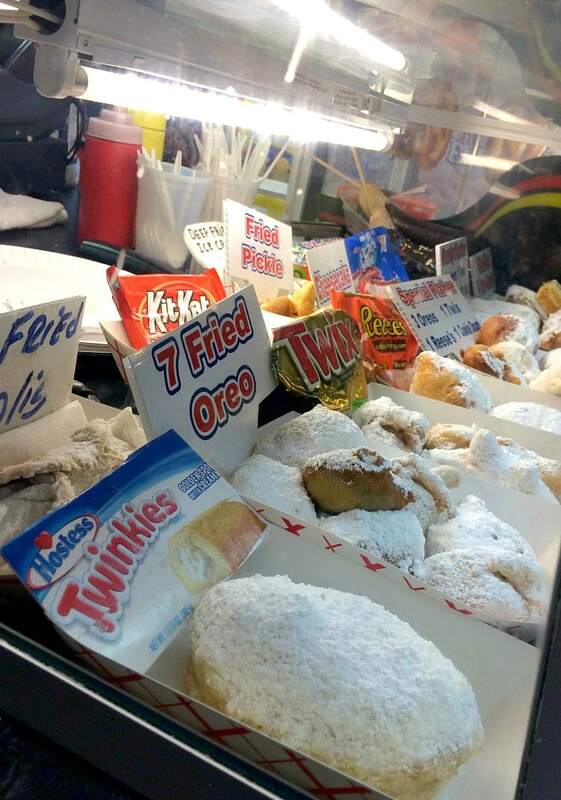 Now does that sound like your average boardwalk food? Then we ended with this Fresh Summer Berries and poundcake with hand whipped cream for dessert. I don’t know if it’s the beach, or the ocean or the perfect weather but this was amazing. Simple dessert but fresh ingredients make all the difference. Time to walk it off again, we headed back to the boardwalk for some more rides and nighttime fun. 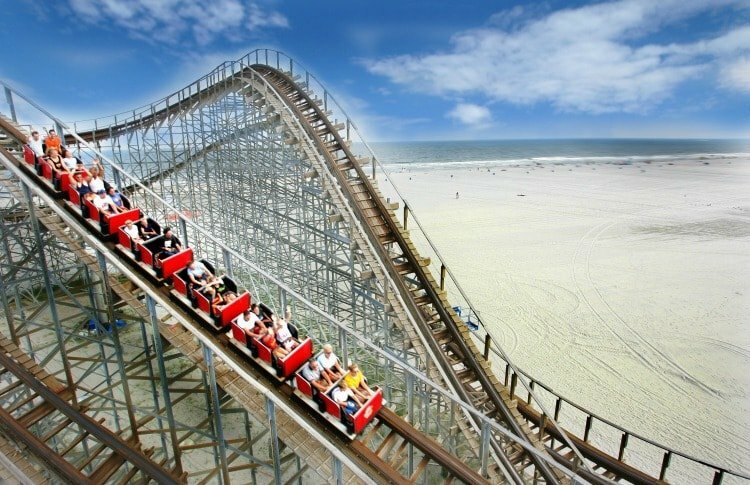 Next time we’re bringing the GoPro to get some live action on these roller coasters…they were pretty insane! 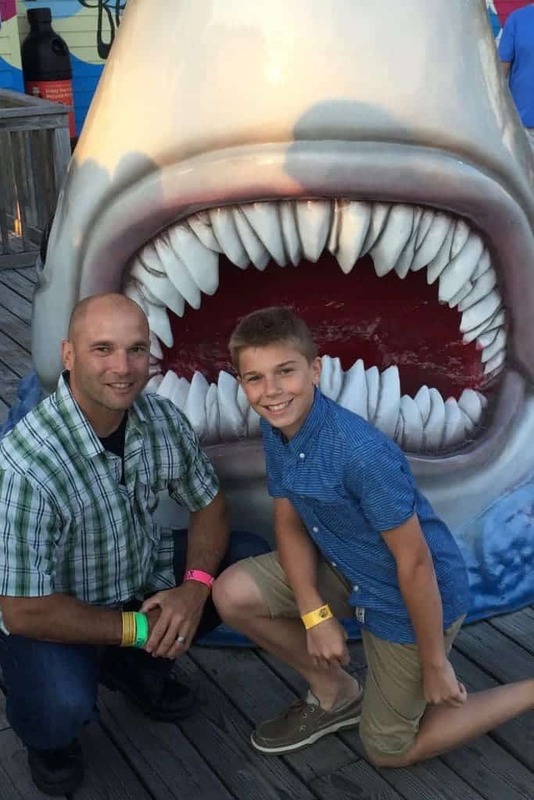 The Great White was a blast – happy kid, happy Dad! All great things come to and end and for me, unfortunately, it came to an end to quickly that weekend. That night I came down with a bad virus, to tell you the truth it had been building up all weekend but I was having so much fun I tried to will it away. But it hit me that night and I was down for the count. 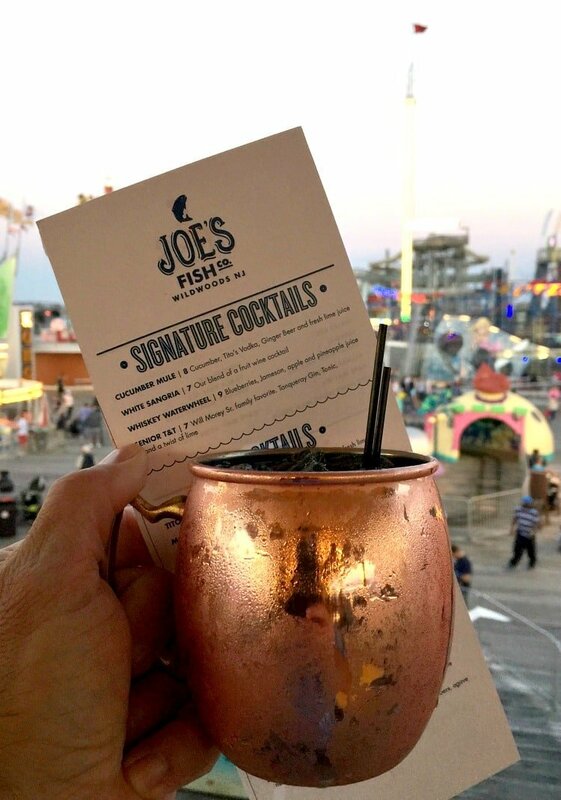 Even though I said my favorite part of the weekend was Saturday night at Stubborn Brothers, I did end up missing another pretty crazy event Sunday morning, Morey’s Piers Breakfast in the Sky. 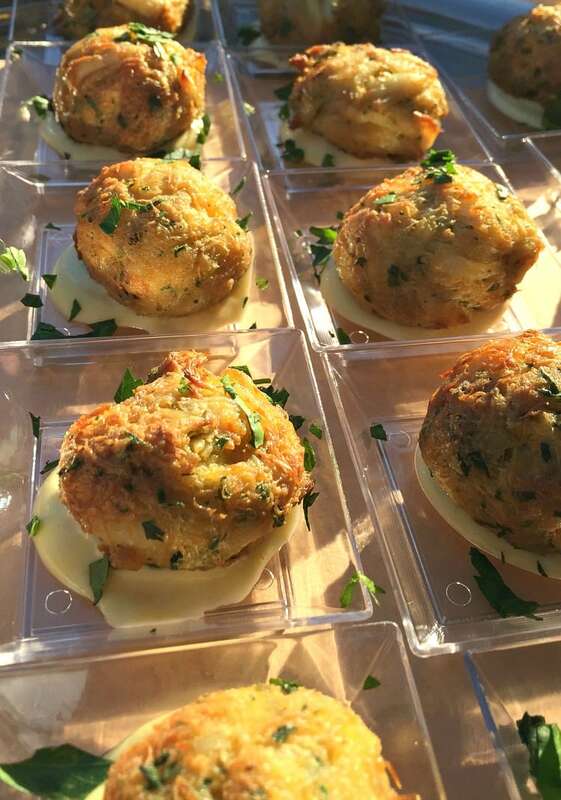 Yes, you heard me right, it’s breakfast IN THE SKY. 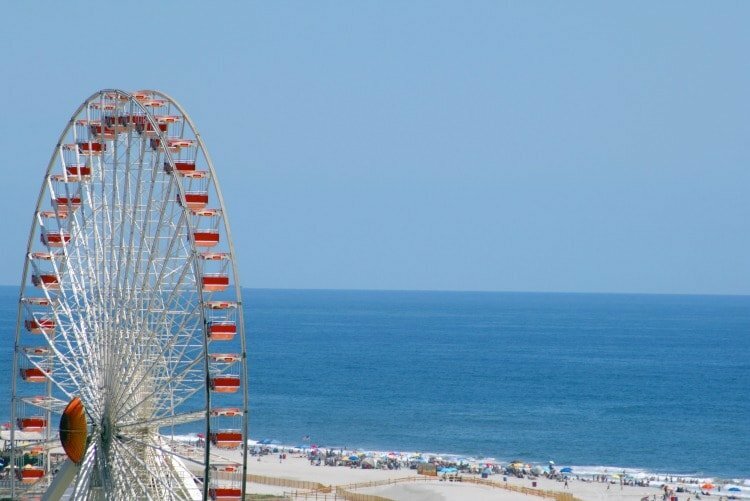 So you get onto a ferris wheel, with tables (white table clothes and all) order your breakfast and ride around while you eat. Pretty cool, right? It’s a good thing my son loves me, because needless to say he was pretty disappointed that we had to head home before breakfast. 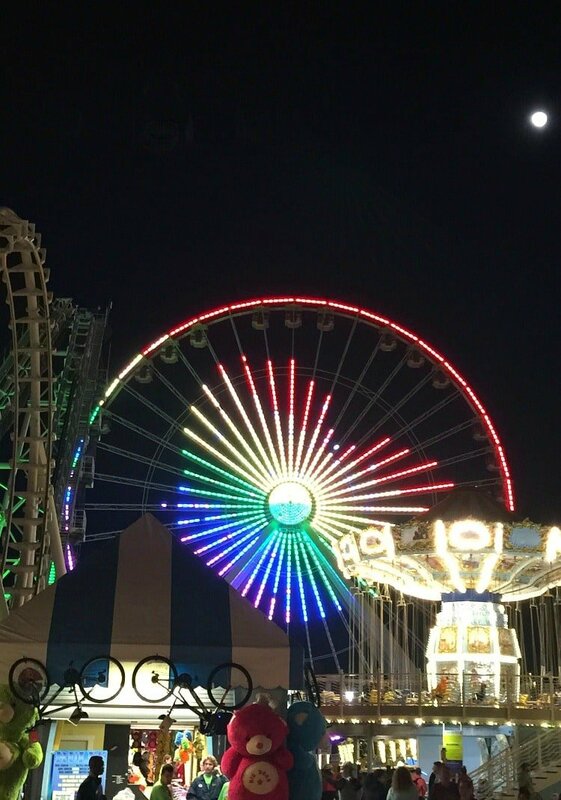 To be honest, I was too, but a fever and riding in a ferris wheel just don’t mix. I do plan on getting back down there to get that breakfast, so when I do I’ll update this post with pictures, but for now you can go to the website and check it out for yourself. 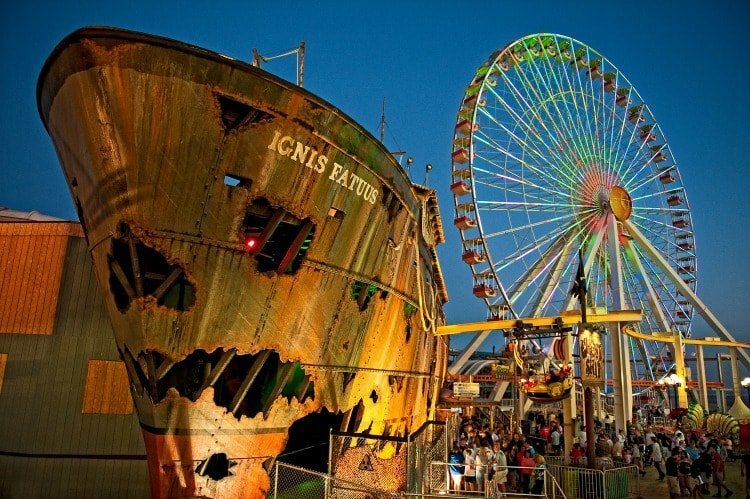 All in all I had an amazing time at Morey’s Piers, and I’d definitely go back. Hopefully before the summer is over!